Every real estate market, in any economy, has a number homeowners dismayed about their home not selling. These houses just sit on the market. They become stale inventory, frustrating the home seller, real estate agents, and even buyers (yes, buyers). Over the last three years, I’ve had the very unique opportunity to travel to a number of states and have multi-hour, face-to-face conversations about local real estate markets with scores of real estate agents. Some work with our brokerage, many with other brokerages. These agents may work in urban, suburban, or rural markets. Many work in my niche of real estate, lake homes and land. However, I have also spent very significant time with agents who focus on typical primary residential homes. One topic I find interesting to discuss is the number of homes listed for sale for long periods of time, longer than should be expected. What factors lead to a home not selling? Here is something I’ve learned, something that is very consistent across every market. 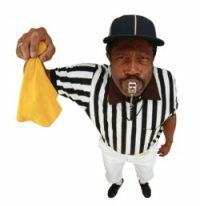 There are ONLY two reasons for a home not selling in a reasonable amount of time. Only two. Either (1) the home lacks proper market exposure and/or (2) the home is not priced appropriately. That’s it. Every other issue will fall as a subset of one of these two reasons. One reason for a home not selling is it has not been marketed correctly. The home owner and their agent are trying to sell a secret! If the potential buyers of this property don’t know it exists, the price is irrelevant. You can’t even give away something if no one knows about it. By “not marketed correctly,” I don’t necessarily mean not marketed at all. The home must be marketed to THE RIGHT prospective buyers. 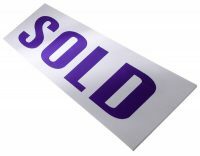 For instance, a “For Sale” sign in the yard may look great but the neighbors and their friends are rarely going to buy that home. How do you reach the buyer who is somewhere else than around the corner? Lack of precision marketing is one of several reasons why For-Sale-By-Owner homes are typically much slower to sell. These homes may not be on the local MLS (Multiple Listing Service) which feeds a host of real estate websites. Even if the home is listed in the MLS, there may not be enough other marketing efforts to break through the thousands of homes typically for sale in each market. While in a few markets an open house may be a viable marketing tool, this typically makes the seller feel happy but often does little to find the right buyers. The same can be said about much of the local print advertising. The most productive marketing in today’s world of real estate is online marketing coupled with strong agent presence. By online, I’m not limiting this to a Multiple Listing Service and websites like Zillow and Realtor.com. I’m talking about very focused marketing for homes directed at the correct potential buyers. This targeted marketing uses an understanding of the age, financial status and motivation of the right buyers for each particular home. Highly targeted online marketing can include specialty websites, targeted online ads, and targeted and boosted social media engagement. And these are rarely free, even if it is just the significant time required to present the home and community correctly to the targeted buyer population. Want to sell a home? First make sure the most likely buyers can easily learn about it. When I say a home is not priced appropriately, I don’t necessarily mean that it must be the lowest price in its local market. (Although rare, I’ve seen instances were even underpricing created problems. But that is a story for another day). Instead, an appropriately priced home will be seen as resonably priced when all other factors are considered. Those factors include house condition, neighborhood, school system, local real estate market conditions, location, lot size, traffic, next-door neighbors, house age, nearby culture/restaurants/shopping/parks, historical significance, public services and a host of other items. If there are problems with the home, smart pricing can overcome those issues. No matter how bad the issues are with a home, pricing can still make the home appealing to someone. Let’s consider a home for sale with reasonable market exposure. If that home has been on the market for a period as short as two weeks without much buyer interest, the market is speaking. No, correction… the market IS YELLING! The market is letting the seller know the home is not appropriately priced. Period. Today’s buyers are savvy. They research online, they watch home prices, and they know an overpriced home quickly. You WILL NOT fool these buyers into even touring a significantly overpriced home. Their time is valuable and house hunting starts at home (or, admit it, at work) on the Internet. Even if you do fool buyers into coming to see an overpriced home with careful photography and crafty descriptions, if the home is much less than the buyers expect, you will piss them off for wasting their time. They will feel deceived and likely never make an offer. Buyers are often much better than sellers at understanding the reality of homes not selling. When setting the price of a home, the smart seller will work hard to think like the informed buyers, avoiding the emotional (and false) price justifications. A home seen as overpriced will be left by buyers to soften… or rot. Even if price drops begin, this signals to the home buyers they can continue to wait. They know more price drops will be coming (even when the seller has not realized it yet). A high number of “Days on Market” can lead even newly interested buyers to avoid the home, regardless of price, out of doubt or fear of an unknown issue. 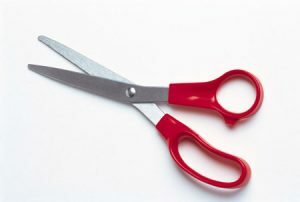 Repeated price cuts also suggests to buyers that the seller is willing “to make a deal.” So when buyers finally do decide to make an offer, they will often make a very low offer, genuinely expecting the seller to continue price cutting. Over time, multiple price drops signal that price cuts are (finally) acceptable to the seller, so buyers will expect another big price cut before they buy. And the seller has themselves to blame for the home not selling, as they repeatedly helped train the buyers to think this way. Even in markets with a large number homes that are not selling, many buyers can and will wait until the market prices adjust downward. Sellers who believe they are smarter than the market (that is, smarter than the buyers) often win the “prize” of keeping their house (and its associated expenses) for even longer. There are many factors that can help sell a house quickly and for a satisfactory price. The key is that, when all things are considered, the home is directly marketed to the correct potential buyers and the price makes this house one of the best values in that neighborhood. If you use a real estate agent, don’t just pick a friend or a friend-of-a-friend. Evaluate them. Find out how they really will market the home. See if they know who the likely buyer will be AND how to reach them. Your agent should have a process, a success history, and be able to communicate all of this very clearly. Forget the emotional “logic” of house pricing. Use current market data about SOLD homes (not list prices) to set a price the buyer will believe is reasonable. Want a higher price for your home? Then do real improvements to increase the real and perceived value. Make sure the home and yard is in great condition, clean, well-staged, smells great, and feels bright. Be sure the right buyers know all this through accurate and truthful marketing. Hire an agent who can target market and is up-to-date on marketing techniques. Even when done right, finding a home buyer for your home can take some time. Increase the odds of a timely sale by pricing appropriately and marketing directly to the right buyers. Niche property, such as lake real estate, can make the market exposure and pricing challenges become even more obvious. The buyers for such property are rarely local, so exposure to the right buyers in other cities and states is critical. Furthermore, lake home and land values vary more than in typical residential real estate markets. This makes it very hard for home owners (and inexperienced lake agents) to determine the correct marketable price. 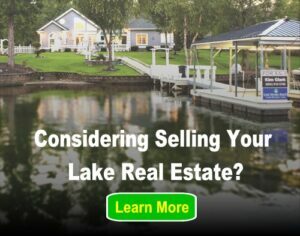 If you have a lake home or land you are simply considering selling or you home is not selling, you may need more expert help. The nation’s largest lake-focus real estate company, Lake Homes Realty, has agents in many lake markets. These lake real estate agents and brokers can give you market-specific advice and expert guidance. A Lake Homes Realty agent can also help you determine if now is a good time to sell and provide unique information about the current market price expectations. They have access to technology to help your home be found by buyers from other cities and states (as many buyers for lake real estate are not local). You can learn more at Selling a Lake Home. Whether a home is downtown, in the suburbs, in a rural market or in a specialty niche like lake real estate, the reasons a home does not sell are rarely complicated. The right buyers have to know about it AND the property has to be priced within the market’s current and real expectations. Period. Trying (or rather pretending) to sell otherwise is usually a waste of time and, typically, money.